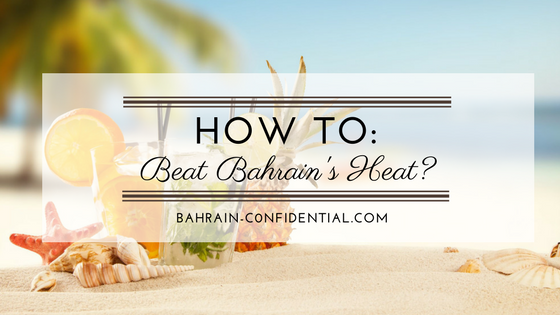 Bahrain Confidential > Articles > Lifestyle > Health & Well-Being > How to beat Bahrain’s heat?!! How to beat Bahrain’s heat?!! 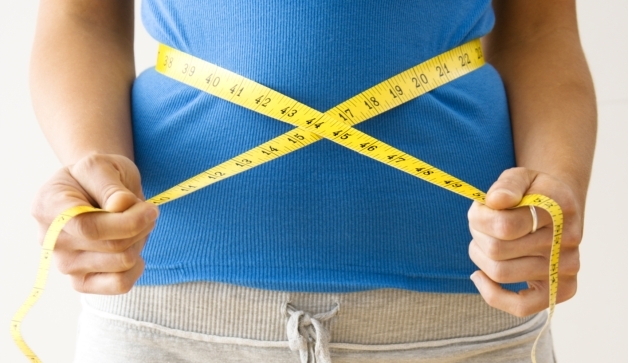 Clinical Dietician Diana Nakhle shares her insights for a refreshing summer in Bahrain’s heat. After that hot summer day, all we want is a nice cooling refreshment. We end up drinking delicious cocktails that are most of the time high in calories and sugar, and that’s not what our summer body needs. Staying well hydrated is essential for good health. With warmer temperature and humidity, it is important to remember to increase our fluid intake. 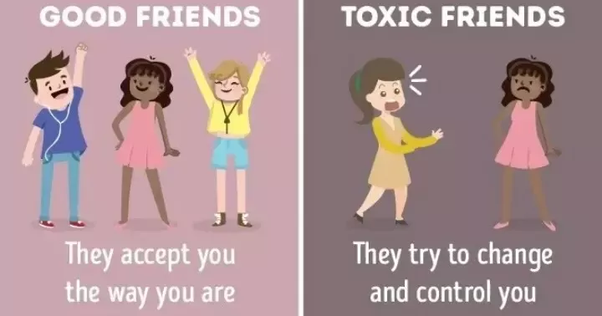 We all know that but do we all do it? Some people opt to drink juices, fresh or canned, soft drinks, or cocktails besides or instead or water. The problem is that many of our favorite summer drinks are affecting our weight and health as it is easy to drink empty calories and sugar. A glass of apple juice contains at least 3 apples, but if you were to eat an apple you would be satisfied with just one. Good news is that this summer you can cool down on the most sizzling summer days with these refreshing and light drinks that are less than 70 calories. In 1 pitcher of water, add 1 cucumber thinly sliced, juice of 4 limes, lemon wedges, and some shredded ginger. Refrigerate to chill and serve over ice. 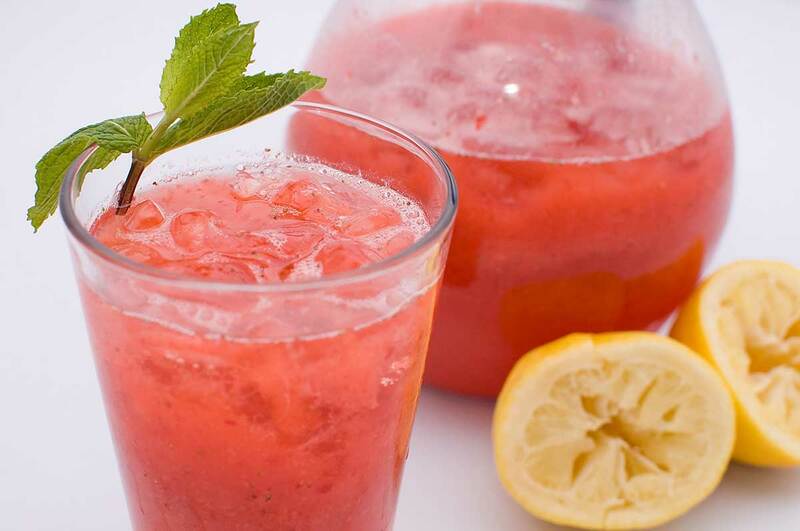 Add a twist to the regular lemonade by adding some strawberries. For a single serving, using a blender, blend 3 medium strawberries, 2 tsp maple syrup, and juice of 1 lemon. Pour over water and mix. Serve this 60 calorie drink with ice and lemon wedge. 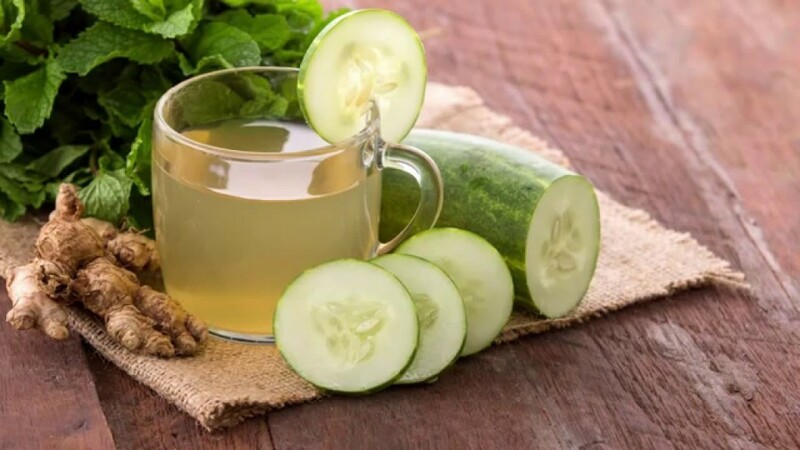 This energizing green drink is rich in healthy antioxidants and nutrients and will give you a sustained energy for hours by using only 2 ingredients: 1 tsp matcha powder and 1 cup coconut water. 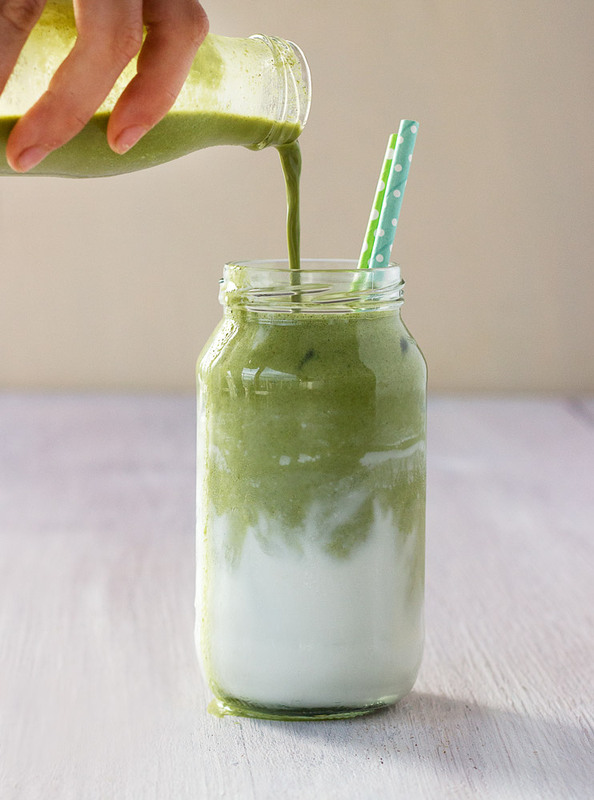 Blend the matcha powder with the coconut water in a blender so there are no clumps. Pour over ice cup. For a latte, add a dash of coconut milk. You’ve got your iced matcha latte ready for 60 calories. 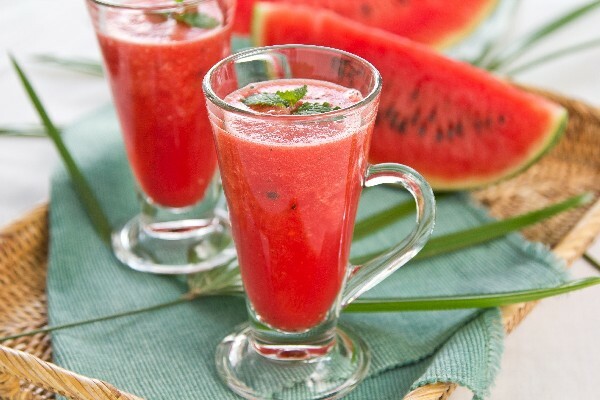 Frozen watermelon cubes add color and flavor to your beverage. Mash or blend some watermelon until puree. Pour over ice tray and freeze. To prepare the Agua Fresca, mix a glass sparkling water with some lemon juice and mint leaves. Add 2 -3 watermelon ice cubes and enjoy. A great substitute for the store bought iced teas that are filled with sugar and artificial ingredients. You can steep your choice of tea or herbal teas. In a pitcher, put 2 tea bags, 3 sliced ripe peaches. Pour the boiling water in the pitcher and let stand for 30-40 minutes. Remove the tea bags. Refrigerate the tea. Serve chilled with 5-6 raspberries for a fruitier flavour. 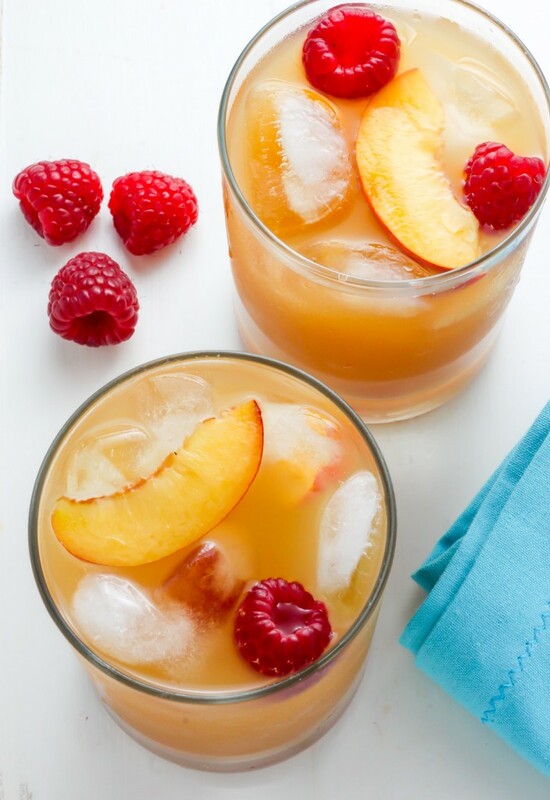 A few swaps to any cocktail can go from diet disaster to a guilt free fresh delight. Try to offer some of these beverages to your kids or for your next gatherings. I’d love to hear about some of your favorite recipes! 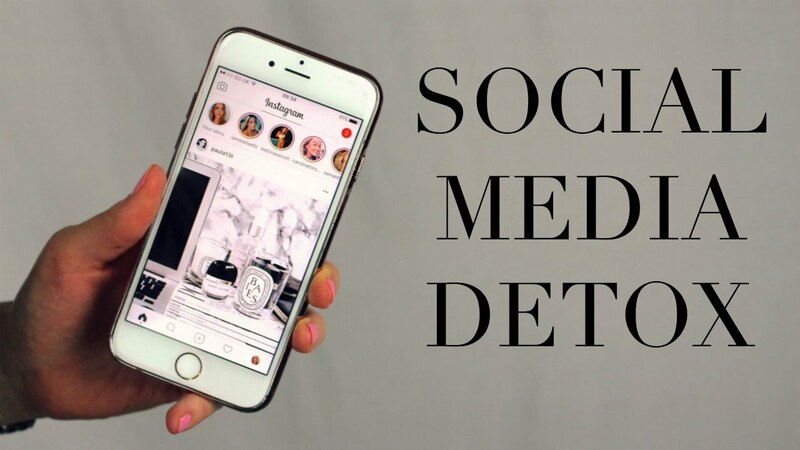 You can share it through email or Instagram. Have a lovely summer bliss!